Think inflation might be with us awhile? There have been a grand total of two years out of the last fifty-seven that haven’t seen at least some level of inflation in the United States. To us, that seems like a pretty strong trend that has only intensified since President Nixon took the country off the gold standard in 1971. If you throw out 2009, when Obama’s recession resulted in an -0.4 rate of inflation, or deflation, rising prices and shrinking dollars have been a reliable fixture in the economy at a rate of three to four percent annually. That, friends, is a trend. Investors know there is serious money to be made by finding a trend and riding it for all it’s worth. And while investment trends come and go – gold is a good example – there is one trend we’ve been watching for a while that doesn’t seem to be in danger of going away any time soon. You know the name: inflation. 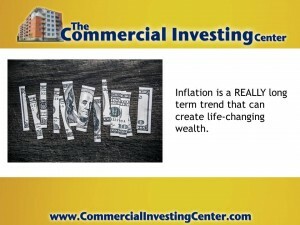 While the idea is sometimes initially hard for some people to wrap their brain around, exercised properly within the context of income property investing, inflation is a dandy little asset that can tuck the kind of returns into your pocket that make Wall Street seem like a grand waste of time. But how do you make money from inflation? 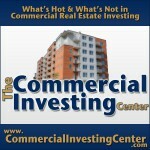 In short, buy rental properties financed with long-term, fixed-rate mortgages. In this case, the longer the better. We like to go out at least 30 years – longer if we can get it. The point here is to never pay the thing off because you’re making money by being in debt. Here we should stop and point out we’re not talking about the bankruptcy-inducing consumer debt that far too many Americans indulge in. That stuff we call destructive debt. On the other hand, a properly structured mortgage tied to a piece of income producing property is constructive debt, which can be a wealth creating machine if you give it half a chance. The dirty little secret about inflation, which isn’t really a secret at all, is that it reduces the value of, not only currency, but all currency based assets like stocks, bonds, and mutual funds; all Wall Street offerings, by the way. The bottom line is these kind of investments often don’t even return a profit that exceeds annual inflation, especially when we take into account the highly probable reality that the government chronically under-reports the true inflation rate. We won’t spend too much time wailing and gnashing our teeth in the aftermath of an election day hangover. Obama won. We may not like it but the will of the majority has prevailed. As Bill O’Reilly said last night, we’ve become a nation of people who want the government to give them stuff and last night’s results prove it. Put another way, we’ve become a nation of people who want the government to take stuff from people who have earned it and give it to people who haven’t. This is called redistribution. Our Founding Fathers weren’t big fans of the idea. Another four years with Federal Reserve chairman, Ben Bernanke, and Complainer-in-Chief Obama at the wheel is almost certain to stir up a healthy dose of inflation. Like we said in the headline, that’s bad for America but turns out to be the perfect recipe for creating wealth if you happen to own a portfolio of income producing properties tied to long-term, fixed-rate mortgages. 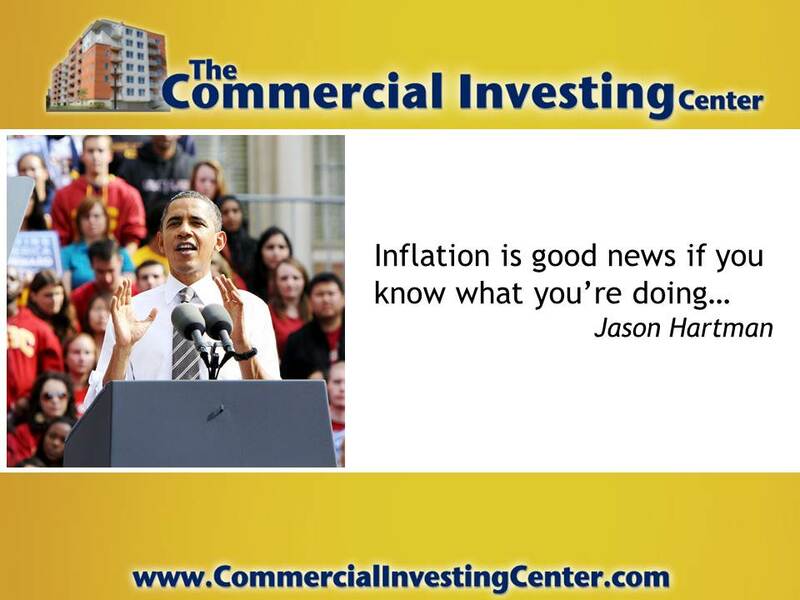 As Jason Hartman scholars are well aware, the presence of inflation drives down the real value of a mortgage, which is why we say you should NEVER pay off that loan. Keep refinancing and cashing those tenant checks. The second point is a bit more philosophical. We and many of our readers were kind of jazzed at the idea we might get a businessman running the country for a change. That dream has fallen by the wayside, but the reality remains that the President of the United States (POTUS) of America can only derail your dreams of financial independence if you let him. For those devoted capitalists out there, shrug off the election results. The success or failure of your life depends on YOU, not a teleprompter-abusing empty suit from Chicago. Whatever grand plans you had for entrepreneurialism in the face of a government that believed in letting Adam Smith’s invisible hand work in the market – hang onto them. The face on the television might not be the one you voted for, but who cares? The government doesn’t create wealth and it sure as heck can’t stop a dedicated capitalist from doing so if he or she really wants to.